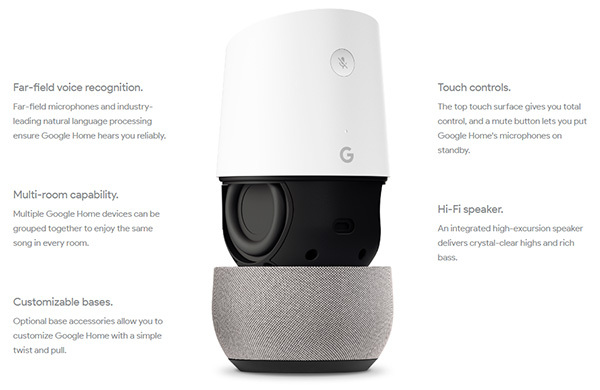 Having been originally announced at Google I/O, Google Assistant-powered Google Home is now officially ready for prime time or, at least, it will be on November 4th when it goes on sale for $129 – a full $50 cheaper than the device it goes into direct competition with – Amazon’s Echo – which has been available since the year 2014. Officially announced with that release date and price during today’s big media event, alongside new phones and more, Google Home is a standalone speaker that does much more than just allow users to play music without any wires. The device brings with it all of Google’s machine learning and data mining capabilities in a way that has possibly never been more accessible. 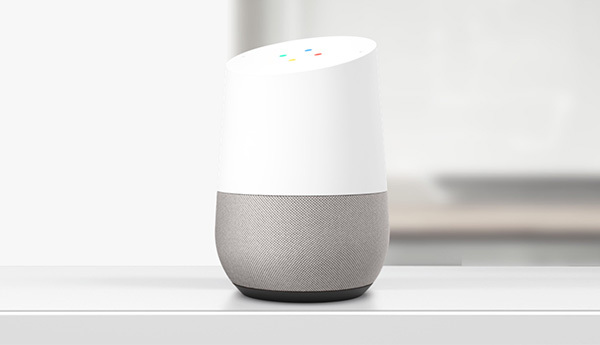 With Google Home, users can ask questions that only Google’s Knowledge Graph or other online sources, such as Wikipedia, can answer. It does it all by simply listening, waiting to be asked a question or given a command. The device itself looks pretty unassuming, but that’s the point. Barring some opportunities for customization via the replaceable speaker grille, the Google Home device is designed to disappear into a room. Google wants it to be always there, and always on, but it doesn’t want it to dominate the room. It’s a silent assistant, but one eager to make itself known when the time is right. Google Home can do that in a variety of ways. Whether it’s giving users a rundown of their day’s plans while they drink their morning coffee, or setting the mood lighting just so via integration with home automation hardware from the likes of Philips Hue, Google Home can do all these things without a keyboard or mouse. There is a capacitive touch area on the top of the device, which can be swiped and tapped to carry out basic functions such as controlling media playback, but everything meaningful is done via voice commands. As Google’s software improves, so will Google Home, and while it’s possible that means these things will rise up and overthrow mankind, that’s a price we’re willing to pay if it means we’ll always know how long our commute will take without having to tap a smartphone screen or move a mouse cursor.